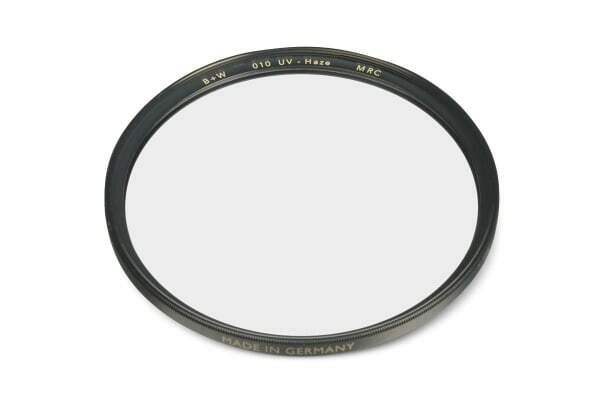 The B+W F-Pro 010 UV Haze MRC Filter – 52mm blocks UV rays from the sky which can cause your shots to blur and which produces an unwanted blue cast when used with many colour films. This makes it perfect for use at high altitudes, by the sea and regions with very clean air, giving your photos a brilliance that would otherwise be impossible. The filter has a Multi-Resistant Coating (MRC) which, with its anti-reflection properties, reduces flare and ghosting. As well as this, the filter also keeps the camera lens from becoming scratched, dirty or wet.